Broadcast Support Archives - Studio Technologies, Inc.
Universal input, 100-240 volts, 50/60 Hz; 12 volts DC, 5 amps (60 watts) output power supply. IEC C14 mains inlet; cable-mounted 4-pin female XLR DC output. 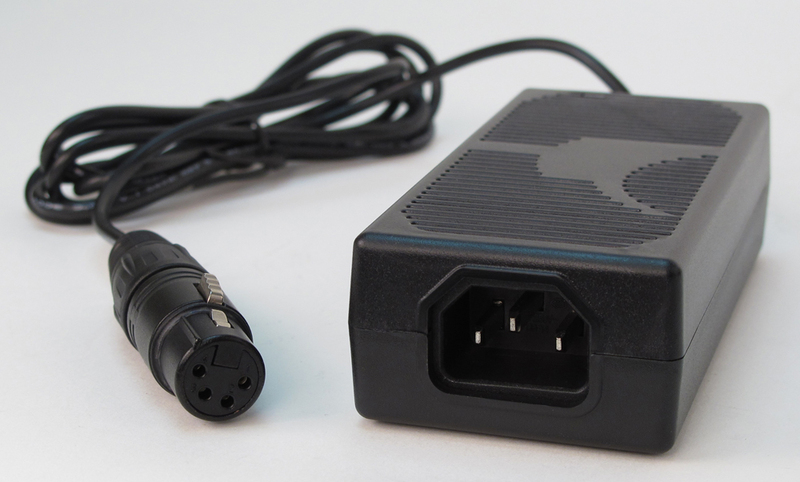 Used for powering Live-Link Remote Camera Interface Systems and Model 5100-Series Broadcast Support Modules. External tabletop unit features worldwide approvals and output status LED indicator.